Stainless Metalcraft has opened a new manufacturing facility to produce waste containers for Sellafield. Metalcraft is one of the 10 companies on the Nuclear AMRC’s Civil Nuclear Sharing in Growth (CNSIG) programme. In May 2015, the Cambridgeshire-based company won an order from Sellafield Ltd, initially worth £47 million, to produce 3m3 stainless steel containers for intermediate-level waste from Sellafield’s pile fuel cladding silos. Metalcraft has now completed the development of a new 1,600m2 production facility at its base in Chatteris, with potential to expand the site to 3,200m2 as demand increases. 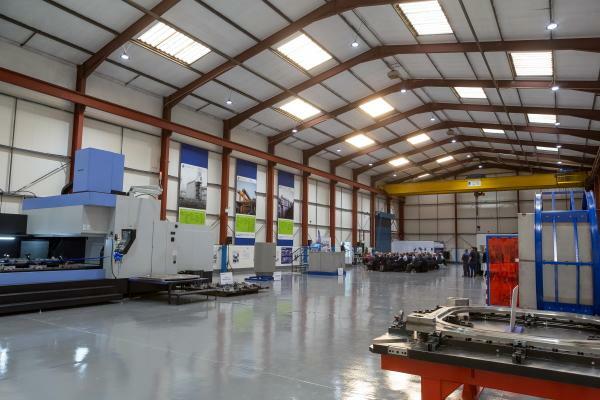 Metalcraft has invested £2 million of capital expenditure in new tools and capabilities for the site. These include a robotic welder offering both plasma and MIG welding; two new machine tool cells; test and assembly cells incorporating vacuum, pressure and dimensional inspection facilities; and a specialist cavity mixing and filling cell. 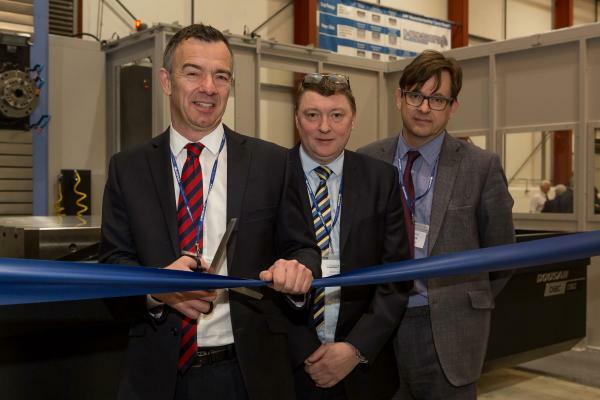 Martin Chown, supply chain director at Sellafield, and Ron Gorham, head of supply chain optimisation at the Nuclear Decommissioning Authority (NDA), joined Adams to officially open the plant. “The three metre cubed boxes are an essential component of our decommissioning programme, and the team at Metalcraft has worked tirelessly to develop the site while also producing the first prototype boxes,” said Chown. The opening followed Metalcraft’s success at the NDA Supply Chain Awards, presented at the NDA’s annual supply chain event in Manchester in early November, which recognised 100 years of apprenticeships at the company. Metalcraft has recruited 17 new apprentices since winning the Sellafield contract. “The company’s commitment to the project was rightfully recognised at our Supply Chain Awards, when Metalcraft was awarded the prestigious Minister’s Award in recognition of its track record training engineers and aspiration to recruit up to 10 apprentices every year until at least 2020,” Gorham said.